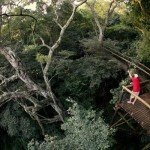 The Dlinza Forest Aerial Boardwalk in Eshowe is a 150 metre long walkway built above the Dlinza Forest floor, which allows visitors to view flora, fauna and avifauna at treetop level. 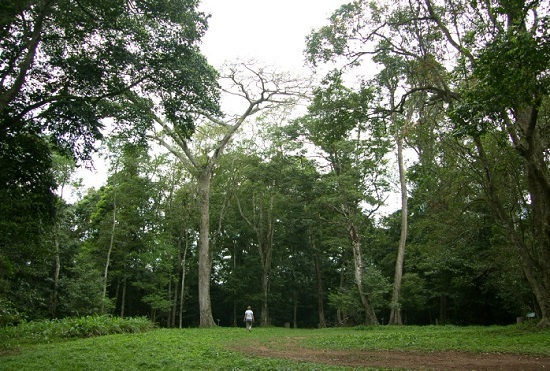 It includes a 20 metre high tower, offering dramatic views of both the forest canopy and surrounding countryside. 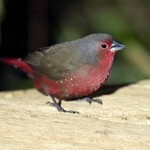 The boardwalk employs a number of trained birding guides who are available to show visitors some of the delights of the forest. 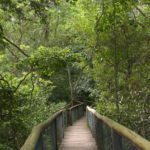 The Dlinza Forest is a 250 hectare indigenous coastal scarp forest, and is one of The Great Five Natural Forests in Kwa Zulu Natal. 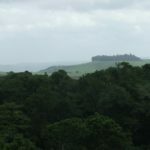 (The other forests are the Ongoye, Entumeni, Nkandla and Qudeni Forests, and lie on a 100 km line running northwest from the coast.) 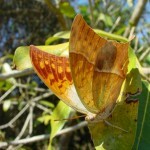 These five forests are the most important forests in Southern Africa from the aspect of unique biodiversity. 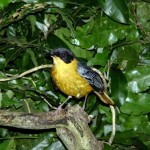 The Dlinza Forest is on The Zululand Birding Route, and is home to all sorts of rare birds and little creatures. 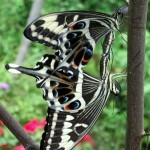 Over 90 species of birds inhabit the forest, as well as 85 different types of butterflies. 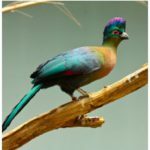 On a hiking trail whilst tuning in to the happy chatter of the birds, you can spot blue duikers, bushpigs, chameleons, beetles, bushbuck and much much more. 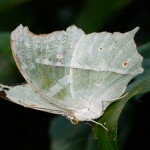 There are two hiking trails through the forest which are best done in the early hours of the morning or the late afternoon when the birds are at their chirpiest.